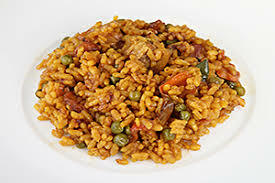 Arroz Vago (Lazy Rice) - Tienditadepuertorico.com - Buy Puertorican Food Here!! Mix first 10 ingredients and cook over medium high heat. of baking casserole or pot. Place rest of ingredients including meat over rice. in a pot over medium heat for about 35 minutes.